The Velodrome at the National Sports Center is thrilled to celebrate over a quarter century of track racing in Minnesota. Built to host the 1990 Olympic Festival track racing events and National Championships, the NSC Velodrome is one of the most unique tracks in the world. It is the only outdoor wood-plank velodrome in the Western Hemisphere. The NSC Velodrome has hosted US Olympic Trials, US National Track Cycling Championships and several world-class competitions including the EDS Cup and MN Fixed Gear Classic. Competition at the NSC Velodrome is among the best in the world. Our racers have won multiple US National Championships in both sprint and endurance events. Our program has grown from a handful of diehard racers in the early days to fields of 70+ racers. We routinely attract crowds of more than 200 fans. We look forward to having you join us for one of our exciting race events this season. Here's where you can find updated news, race results and the other happenings at the NSC Velodrome. Track cycling is a tight-knit community and we want to share other resources to learn more about this sport. 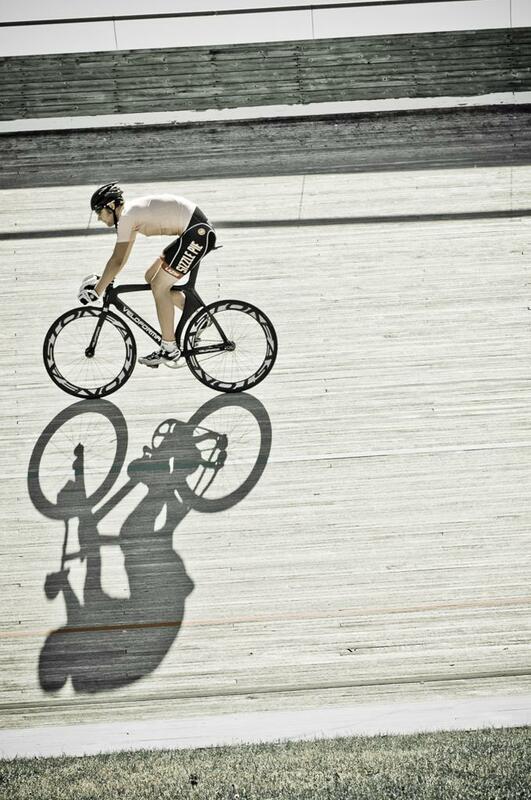 Track cycling is of course a very photogenic sport. See our best photos here.